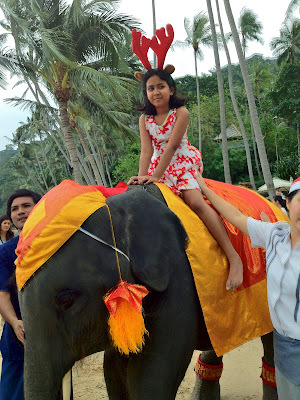 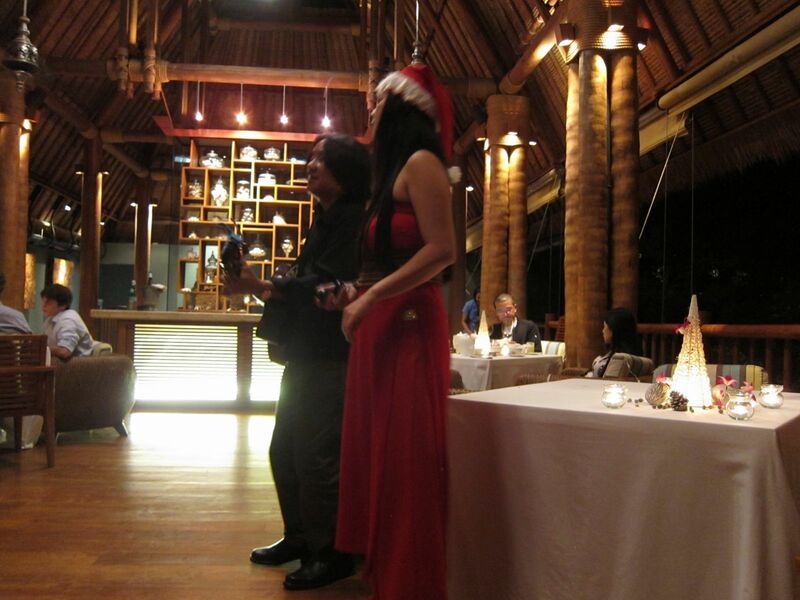 Christmas at the Four Seasons Koh Samui was a lot of fun! The gala dinner at Lan Tania on Christmas Eve turned out to be a gourmet's delight, and for my daughter the highlight was clearly Santa who arrived with an elephant in tow. 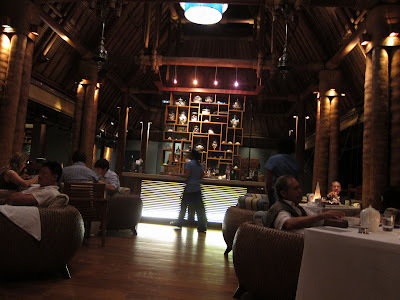 In addition to the Castaway Dinner which I wrote about in my previous post, they had a Bounty of Thailand evening showcasing the culinary delicacies of the country featuring live cooking stations and Thai dances. For those who did not wish to leave their villas, they had in-villa dining options that included Xmas turkey specials and bar-be-que dinners. 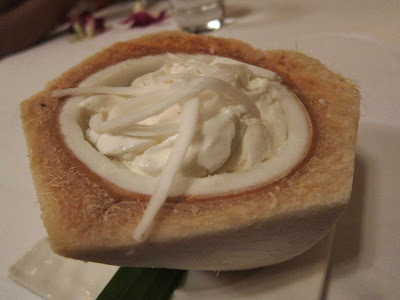 We decided to go with the special seven-course Thai dinner at Lan Tania. The restaurant had been transformed for the special evening with festive decorations all around. 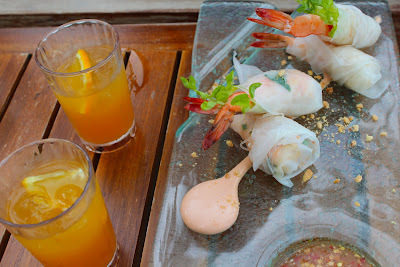 Our dinner started with a trio of starters: the Goong Shair Narm Pla was a raw tiger prawn salad with lemongrass, garlic and spicy lime sauce. 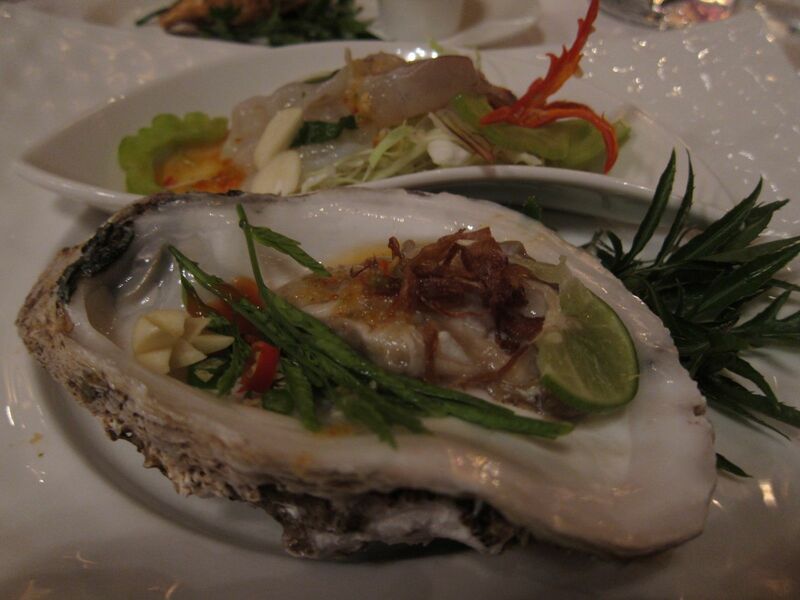 The Pooja turned out to be deep-fried stuffed crab shell, and the Hoi Nang Roam was a large Thai oyster with seafood sauce and garnished with fried onion and tamarind leaf salad. The oyster and the crab were particularly good! The soup came next. 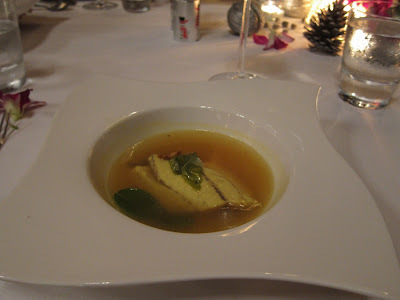 Tom Som Pla, a fish soup with lemongrass, fresh turmeric and lime leaf was delicately flavored and excellent! The entrees after that. The Paneng Kang was rock lobster in a dry red curry with peanut and kaffir lime. 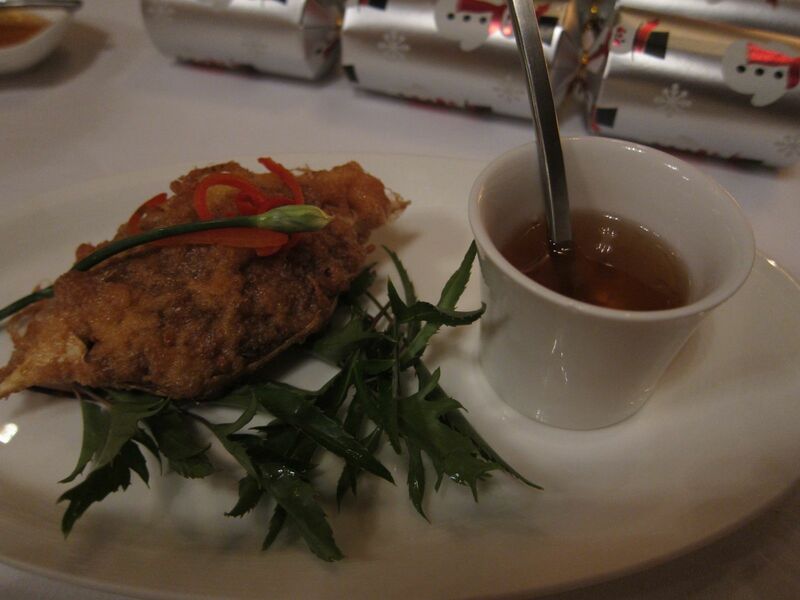 The Sua Rong Hai was grilled beef strip loin with spicy herbs and roast rice cracker sauce. While the lobster was very good, I found the beef hard too tough and chewy to enjoy. Finally, the desserts! 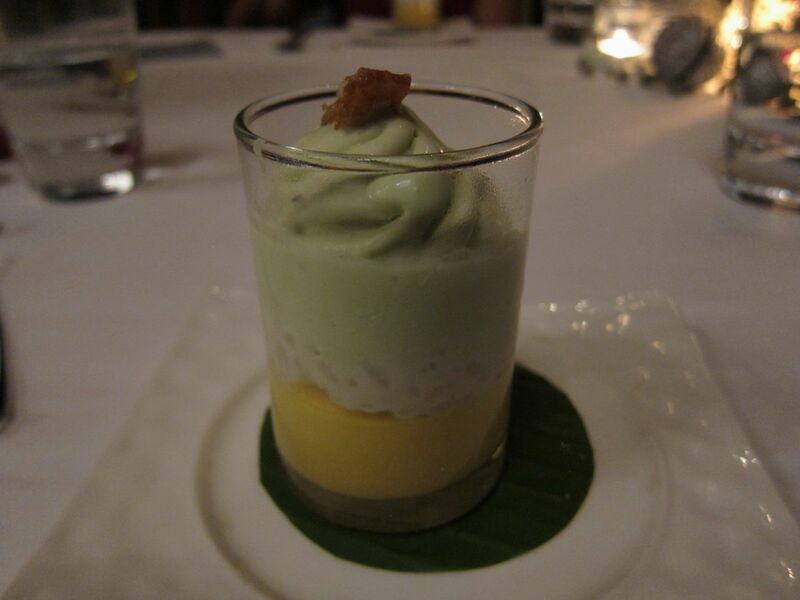 The Kao Niew Mamuang, mango sticky rice was made with an interesting twist: the sweetened rice and the mango pulp had been blended separately and served chilled in a glass like ice-cream. And to end it all, a serving of their deliciously creamy coconut ice-cream, tonight served in half of a tender-coconut with long gratings of its soft kernel. 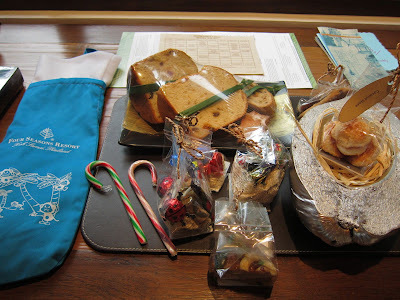 Christmas morning arrived with other gifts: goodies in a Xmas stocking, pastries and fruit breads from the kitchens. Then Santa himself made an appearance for the kids with a baby elephant in tow making this Xmas particularly memorable for my daughter when she got to ride the elephant. 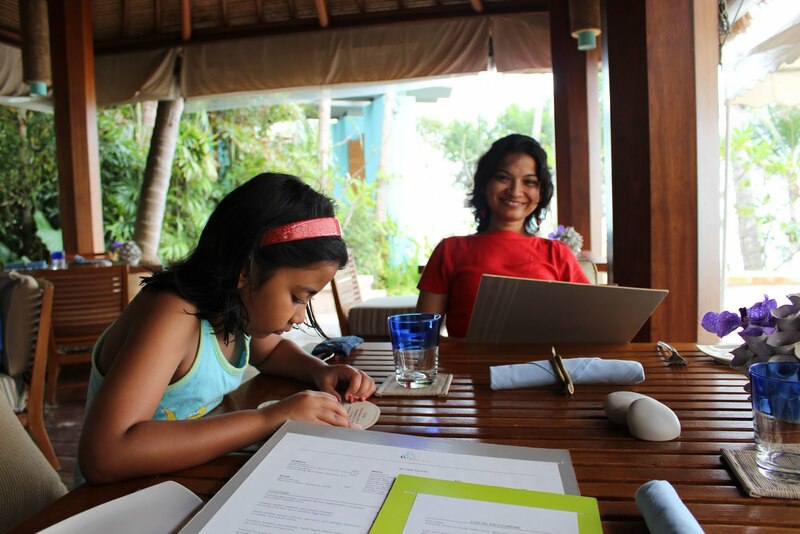 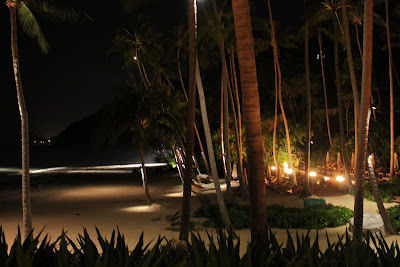 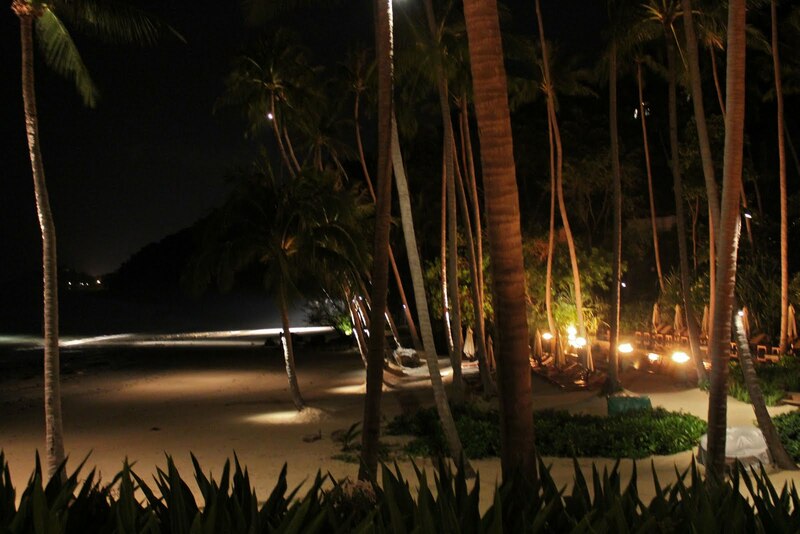 We tried both the Lan Tania and the beachside restaurant, Pla Pla, multiple times during this trip. 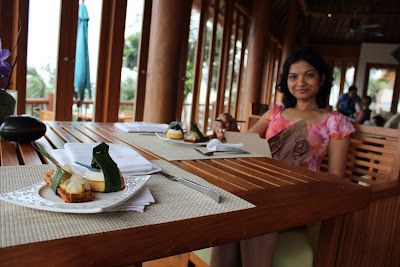 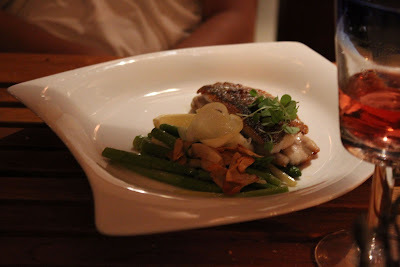 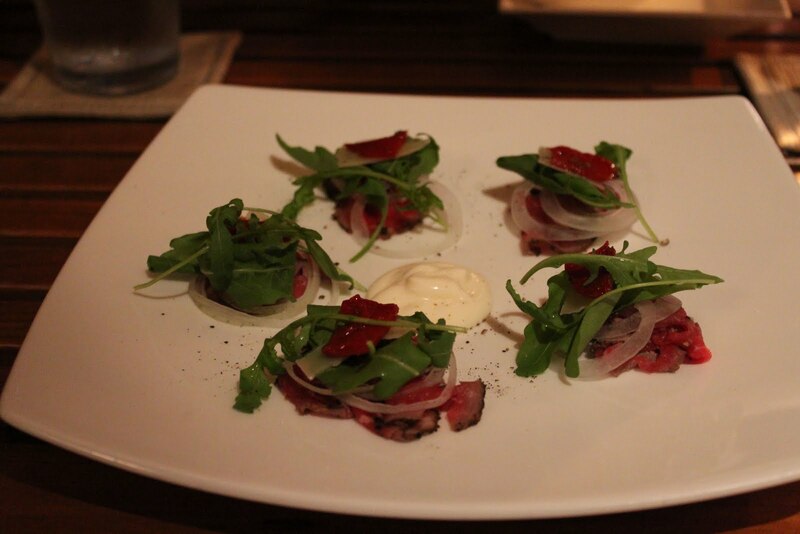 The food was consistent good and the prices reasonable too - by Four Seasons standards. During Castaway Dinner we had gorged on grilled sea bass, red snapper, rock lobster, blue crab and calamari with sides of baked potatoes with sour cream and bacon, corn on the cob, grilled veggies on skewers and several local salads and a seafood carpaccio shake. 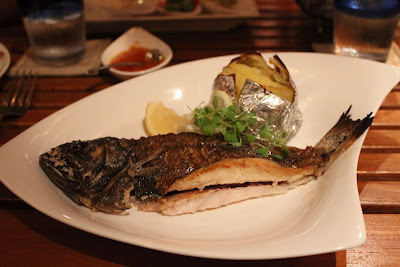 Therefore at Pla Pla, I decided to try a different fish, a Thai sole, which turned out extremely flavorful and tasty. 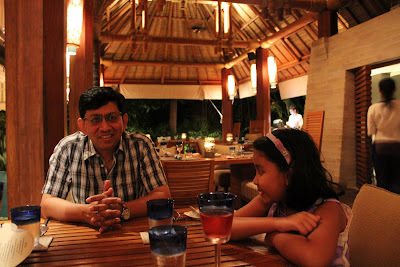 Even the in-villa dining made for a great experience. They would lay the table expertly on our outdoor deck, plating the food at the table and in the evening even light a candle to give us that perfect outdoor dining experience. We loved the authentic flavors of Thai curries, salads and noodle dishes. 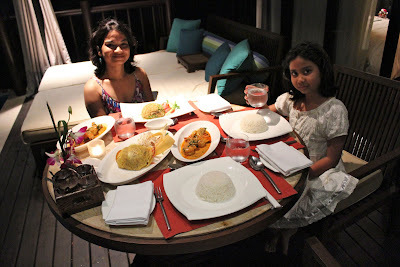 While we now get good Thai food in India, everything seemed that much more tasty here. 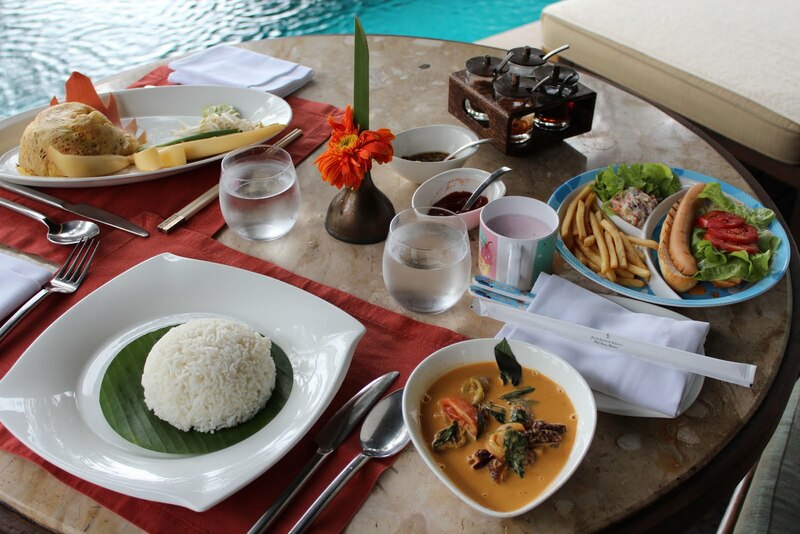 Southern Thailand, where Samui is located, is known for its spicy food and also dishes influenced by Indonesian and Indian cuisine. We loved every dish we tried. 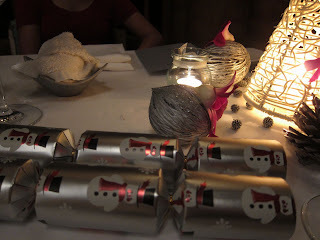 As you can see, this was pretty much a gastronomic Christmas Holiday for us!